My name is Corey M. It’s a pleasure to meet you, Susan! I’m a Los Angeles native working at a popular yoga studio as an instructor. I’m looking into branching out my skills to make some extra money on the side. I’ve always enjoyed writing as a pastime. While researching copywriting, I found your website and was very impressed that you’ve been a freelance copywriter for 20 years! That’s amazing! Nah, just means I’m old. 🙂 It’s nice to meet you too. If you don’t mind sharing some insight, I’d really appreciate it if you could answer a few questions. How did you get started? From reading your bio, I know you have a BS in journalism and an MBA, but what lead you towards copywriting rather than journalism? It’s hard to find jobs in journalism these days, and it was even when I graduated college decades ago. It was disappointing to have majored in journalism and then have difficulty gaining employment. Currently, there are thousands of displaced newspaper and magazine writers competing for whatever few journalism jobs exist, so I wouldn’t advise journalism as a career path. For me, copywriting was a way to do the research and writing I loved when I couldn’t find a reporter job. My first real job was with an ad agency as account coordinator. It was just one step above secretary, mostly administrative work, but it got me in the door and gave me an opportunity to begin learning the business. I worked with copywriters at the agency doing everything from making their photocopies to composing memos and letters. Eventually, I got to help with writing first drafts of brochures and proofreading drafts written by other writers. Working at the ad agency, I knew “copywriter” was the title and job responsibilities I wanted. It offered an appealing alternative to a journalism job. Eventually, I moved into a copywriting role at the ad agency and then, soon thereafter, left to start my own freelance copywriting business. In hindsight, I probably wouldn’t have enjoyed journalism as much as I do copywriting because so much of news today is writing about depressing stories. I like the optimism and salesmanship that’s involved in writing marketing copy. I also like being self-employed, which is hard to do if you want to work as a reporter for a TV station or newspaper. So your first real job was with an ad agency. How did you launch your freelance writing job? I always knew I wanted to be a writer in some capacity. When I started at the ad agency, I didn’t have opportunities to do any writing. That work went to the agency’s copywriters, as I mentioned, and I was kept busy assisting them with administrative tasks and some client interaction. It was an entry-level job and I felt under-employed. I reminded myself daily that it was all part of paying my dues, recognizing that I at least had the opportunity to learn about marketing and shadow the agency’s copywriters. And I was getting paid. At the same time though, because I wasn’t able to take on copywriter responsibilities at the ad agency, I explored freelance assignments on my own. I used my lunch hours and evenings to meet with potential clients. I established a relationship with a small graphic design firm that occasionally needed help writing brochures for its clients. I found a manufacturer that needed help writing sales letters and ads for trade magazines. I attended Chamber of Commerce networking events and got to know local small business owners, which eventually led to some writing assignments – radio commercials, sales video scripts and brochures. Those assignments gave me a secondary income as well as hands-on experience in the copywriting career I was pursuing. 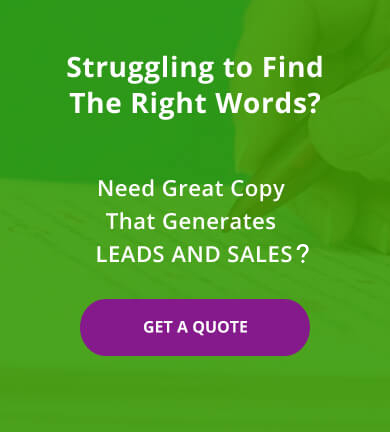 Was all your freelance writing marketing copy? No, actually some of the first freelance jobs I was able to secure were writing feature articles for local business magazines and weekly newspapers. The pay was low but I learned a lot and built up my portfolio with articles containing my byline. Plus the work was interesting. For example, I wrote a story about a homemade pasta and cheese shop run by three sisters in the city where I lived at the time, Manchester, NH. I wrote a feature about a local woman who trained Capuchin monkeys to be service animals for the disabled. I wrote about a few local celebrities too. I wrote a piece about Lynn Jennings, a New Hampshire long-distance runner who competed in three Olympics and Sophia Collier who founded a brand of soft drink called Soho Natural Soda and then sold it for $15 million to Seagram Beverage Company. She used the proceeds from that sale to found a highly successful New Hampshire-based investment/money management company. I also wrote a feature about Nackey Loeb, who was the editor and publisher of The Union Leader, New Hampshire’s only statewide daily newspaper and Jane Blalock, a legendary LPGA golfer in New England. I used those feature articles to access people I admired and interview them about their lives. I learned a lot from them about success and business while increasing my writing proficiency. I consider it all part of my post-college education. Now that your copywriting business is well established, what does your weekly work schedule look like? I’ve had aspiring freelancer copywriters ask if they could shadow me for a few days to see what my work entailed, and I’ve always said no. Sorry, but watching me read and write, which is how I spend 90% of my day, would be really boring to observe. And knowing someone was looking over my shoulder, I’d probably get a bad case of writer’s blog. So here’s a quick summary of how my weekly schedule typically looks. I typically have 2-4 phone meetings/conference calls with clients or subject matter experts each week lasting 30-60 minutes. They’re usually related to a specific writing assignment. The rest of the time I’m mostly at my PC doing research and writing. Most interaction is limited to email. I have fewer than 3 in-person meetings a year, which is very different than when I started out, pre-internet and the majority of client interactions were formal meetings. I work out of my home, and since I work a lot of hours, my husband teases me that I’m basically a shut-in. I should mention as well that much of my copywriting is done for companies outside my state (Florida) and often outside the U.S. I do a lot of national and international work so any meetings are either by phone or Skype. How many copywriting projects do you work on at a time? I can have anywhere from 3-20 copywriting assignments all at different stages of production. Right now, for example, I have about a dozen jobs open. Some I am still writing, others are at the clients’ being reviewed, and others are at the graphic designer’s or web designer’s being produced. I’m forever making lists of what still needs to be written, what needs to be approved, and what’s completed and can be billed. Can you describe what some of those jobs are, just so I get an idea of typical writing assignments? Write a tri-fold brochure for a Florida drug rehab facility. Write a direct mail campaign for a UK engineering firm. Write a 12-page website for a business consulting firm in Malaysia. Edit a New York City hospital’s quarterly newsletter about palliative care. Write a 500-word advertorial for a data management company to appear in a trade journal. Write a one-page press release for a New York City hospitality company promoting its expansion. Edit an Atlanta marketing firm’s 15-page ebook. Write an email blast for a realtor promoting a new condo development in Orlando, FL. Write a 10-page website for a California limo company. Write a proposal to bid on a North Carolina technology company’s website, approximately 20 pages. In between working on the above projects, I’m also speaking with prospects and clients, billing for completed work and taking care of other administrative tasks that go along with self-employment. For a given project, about how much time do you spend between research, writing, and editing? That depends on the project. As an example, I just completed a blog post that took me 3 hours, and last week I completed an ebook that took about 30 hours. What tools have been the most helpful for you in gaining knowledge on copywriting and SEO? Any book or website recommendations? Although I have a BS in journalism, I’ve mostly learned copywriting by doing and also reading other copywriters’ work. To this day, I read plenty of content online and subscribe to lots of blogs. The problem is it’s way easy to spend all of your time reading and none of your time writing, so I find ways to put controls on the amount of information I consume. I only get paid to write, not to read, so that has to be my priority. As for resources you can use, a quick Google search will find you plenty of articles and copywriting blogs. You can also go on my website blog and look at the following links for Advice for Aspiring Copywriters and Advice for Freelance Copywriters for additional posts like this one that give insights into the copywriting business. How long before you felt comfortable/confident with your copywriting? It’s been a process. I gain confidence with each job I successfully complete. I really do. However, even today I still have bouts of uncertainty and concerns about my ability to complete certain copywriting projects. When that happens, I usually start by tackling one small part of the project, then another, and before long I realize I’m making progress and can eventually see the finish line ahead. I recently saw an interview with Paul McCartney, and he spoke about still being insecure and unsure of himself each time he produces a new song. I guess most of us never completely outgrow our self-doubts. But that doesn’t mean you have to give into them. I don’t allow myself to not do a copywriting project just because it’s intimidating. Once I know I have to get it done, I find a way. And I do believe it’s good to force yourself to do things that are hard; that’s how you grow. What are your favorite or inspirational advertisements? Nike’s “Just Do It” campaign comes to mind. It’s what I tell myself, loudly and firmly, when my inner voice starts coming up with excuses for why I can’t accomplish some copywriting assignment. What advice would you give to novices or wish you would have gotten when you first started? You already have an enormous advantage by having the internet, which wasn’t around when I was starting out. You have access to endless resources to learn from and also opportunities to get your feet wet writing and publishing online. My best advice is to seek out every possible opportunity to put your writing skills to use. Ask friends, relatives and neighbors who have a business, but also explore your own personal network for opportunities. Maybe at your yoga studio you can write the copy for flyers to promote your classes. Or maybe you can write a direct mail campaign to attract new clients. Or try writing a sales letter to local businesses letting them know they have a yoga studio in their backyard and are welcomed to attend your classes. 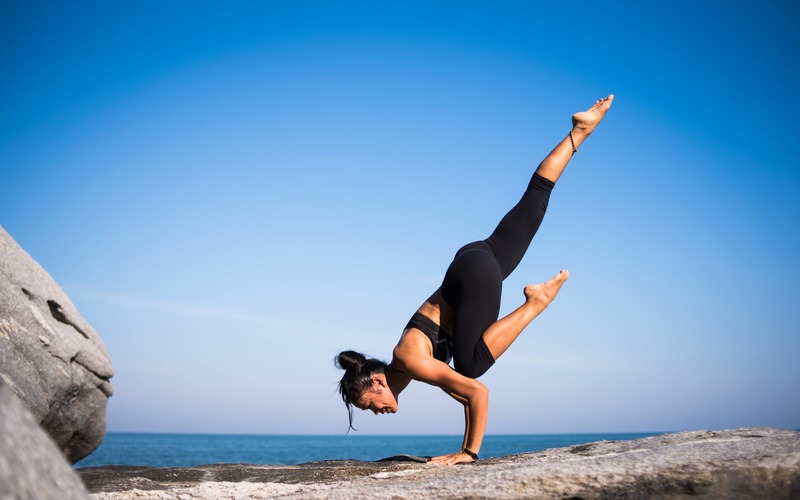 Get creative with ideas for growing your yoga studio’s success. Your employers will love you and you’ll be practicing your copywriting skills while building a portfolio. The important thing is to start writing. That’s the fastest way to learn and improve. Good luck in your endeavors. Namaste. Could your business benefit from working with an experienced freelance copywriter? Work with a pro. Contact Susan Greene today!